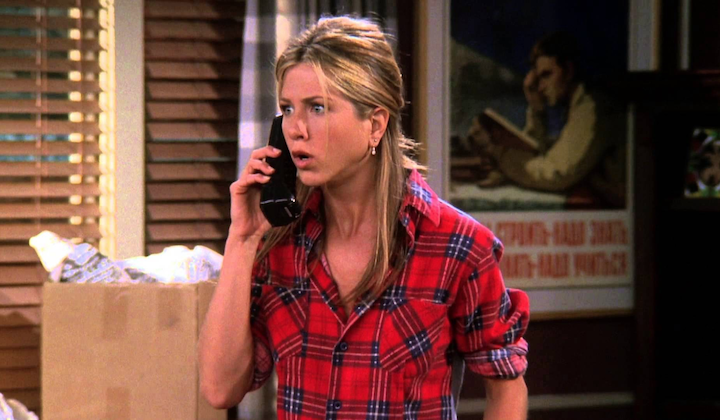 No character from Friends has had a glow-up more epic than Rachel Green's. Rachel went from being a spoiled trust fund brat engaged to Barry to a confident, single(ish) lady and independent working adult over the course of the show's 236 episodes. 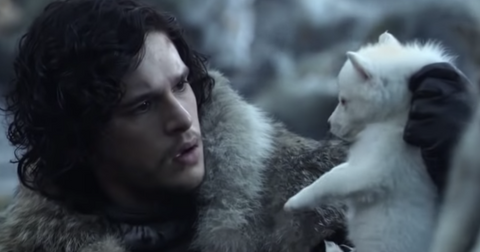 No other Friend's character development was more satisfying to watch. Rachel instilled some important life lessons among viewers, and was living proof that even though adulting in New York City can be super hard, you'll get ahead if you stick to your dream. 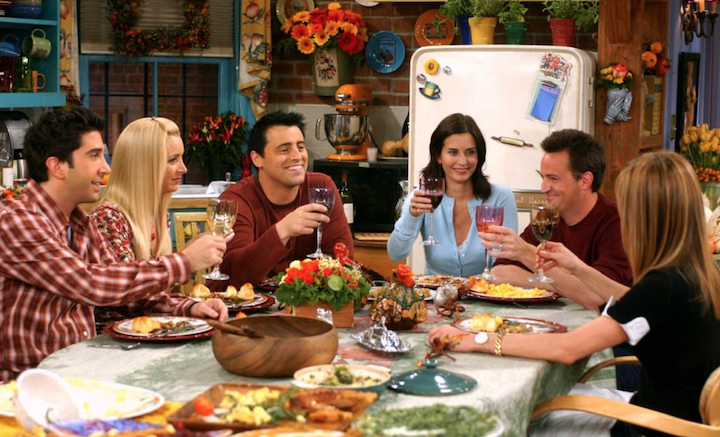 In honor of Jennifer Aniston's 50th birthday, here are 9 valuable life lessons her character Rachel Green taught us over the course of Friends. 1. It's never too late to build your life back up from scratch. 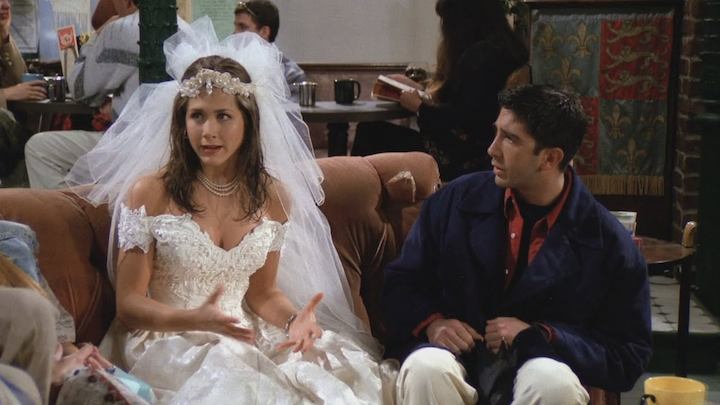 Let's start at the very beginning of Friends, back in September of '94 when Rachel had just left Barry at the altar and, soaked from the rain, went to meet the friends that would become her chosen forever family at Central Perk. This lesson is alternately titled "Never settle for someone else's dream" because Rachel was trying to follow in her mother's footsteps and become a wealthy doctor's wife until she realized, mid-wedding ceremony, that she had lost sight of her own goals. "Come on, Daddy, listen to me," she pleads with her father. "It's like all of my life everyone has always told me, 'You're a shoe, you're a shoe, you're a shoe, you're a shoe.' And then today I just stopped and I said, 'What if I don't want to be a shoe? What if I want to be a purse, you know? Or, a hat?'" Rachel didn't settle for just being a shoe, and neither should you! Personally, I'd prefer to be a blazer. 2. It's OK not to have a plan. No job? No career? It's all good, Rachel taught us. "I'm trained for nothing," she admits to her friends at the beginning of the show, but through slow and steady work, she discovers a way to turn her passion for clothes into a career in fashion and works her way up the ladder until eventually securing her dream job at Ralph Lauren. 3. Sometimes you have to settle for a job you dislike. Most of the TV we watched growing up was aspirational. It was about identifying your passion and pursuing that until it became a monetizable career. But Rachel Green broke these conventions when she taught America that when you really need to pay your bills, you take the first job that comes your way. Case in point: Rachel's stint at Central Perk. Once you get your footing and secure a roof over your head, quit your job like she did, and go pursue that dream. 4. Budgeting is no walk in the park. It feels like all of Rachel's lessons are about money, but a) they're important and b) she's the only character who went from super rich and out-of-touch to being just like the rest of us common folk. First, Monica cuts up all of her credit cards to teach her a lesson about budgeting and frivolous spending. 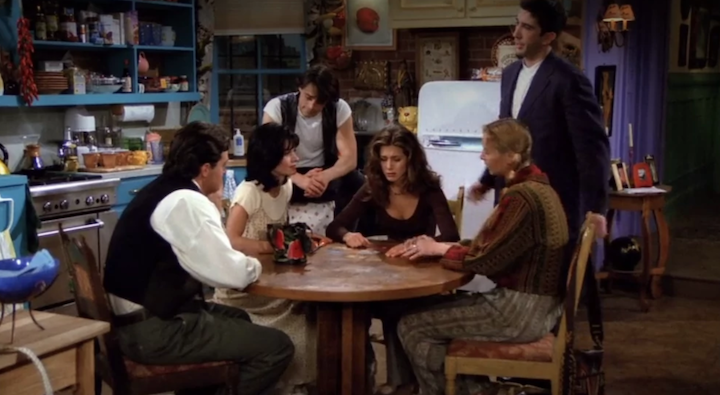 And seasons later, she becomes a bonafide frugal convert when she refuses to split the bill with the whole gang for Ross's birthday dinner. It was an awkward moment for sure, but it did teach us to always carry around cash if we're not willing to go dutch on food we didn't eat. 5. Don't get your honey where you get your money. Remember the time Rachel dated her assistant Tad? He was super hot, but let me repeat, he was her employee, which made for a super awkward dynamic between the two. 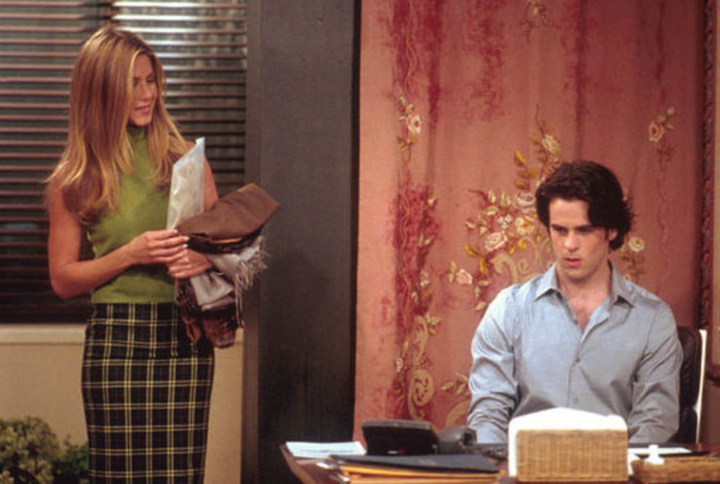 The relationship crashed and burned when their steamy correspondence made it all the way to Rachel's boss's desk — which taught viewers not to dip their pen in company ink. A valuable dating tip and life lesson, indeed. Who can't relate to Rachel opening her first big-girl paycheck and realizing that FICA took a ton of money out for taxes? "Who's FICA?" she asks, "and why does he get all my money?" Sure, we all know that taxes exist and are good, in theory, but when you see how much of your paycheck goes to the government, it's hard to remember why we even work at all. 7. It's important to know your limits. If you're ever having a crappy day at work, just channel the time that Rachel had to help a geriatric lady change into an underwear she didn't even buy. This was the last straw for Rachel, who declared, "I’m quitting, I just helped an 81-year-old women put on a thong and she didn’t even buy it!" It goes to show that even when you're working your way up, some tasks are just too far out of your pay range and you have to know when to call enough enough. 8. Make sure you're over your ex before you start going on dates with other people. OK, closure is a hard lesson to learn and it might take more than Ross and Rachel's eternal on-and-off dating to really cement the point, but we could all stand to learn a thing or two from her terrible blind date with Michael. 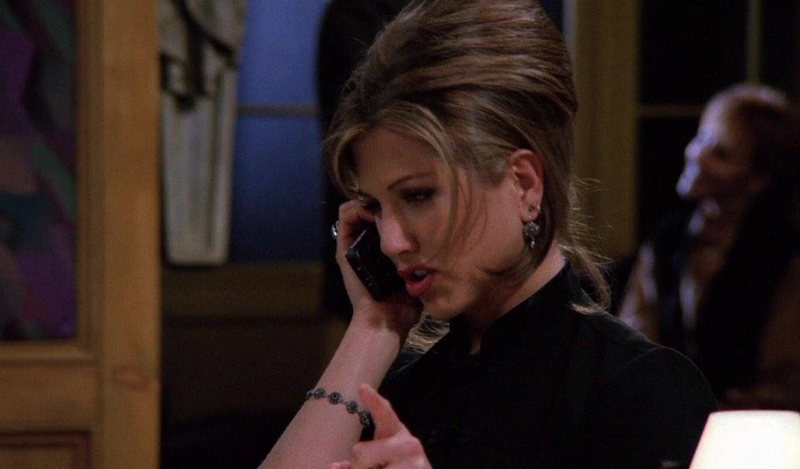 After Ross and Mona adopt a cat together, Rachel is so beside herself, she agrees to be set up by Monica. Cue the cringiest date of all time, wherein, rather than get to know Michael, Rachel rambles about her ex, his girlfriend, and cats — for a very, very long time. This leads a stupendously drunk Rachel to phone Ross in the middle of her date (with a borrowed cell phone) to declare, "I’m over you. And that my friends is what you call closure." Except, I don't think anyone would use the word closure to describe whatever that was. 9. If it's meant to be, it eventually will be. If Rachel's relationship with Ross taught us anything, it's that true love can withstand A LOT. 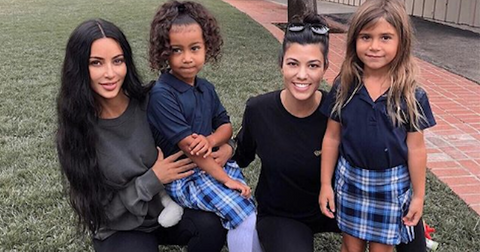 We're talking 10 years of on-and-off dating (way more, if we count Ross' college-years crush), having a baby together and saying the wrong names at the altar. If Ross and Rachel were able to make it work, it just means that when you find your Mr. and Mrs. Right, you shouldn't let anything get in the way of your love. Happy 50th birthday, Jennifer Aniston! Seeing you grow into your character as Rachel Green was almost as enjoyable as seeing Rachel herself grow into her own. Here's to 50 more!